Albicore CD's *spelling for Albacore,' i.e. Thunnus alalunga (Bonnaterre, 1788). 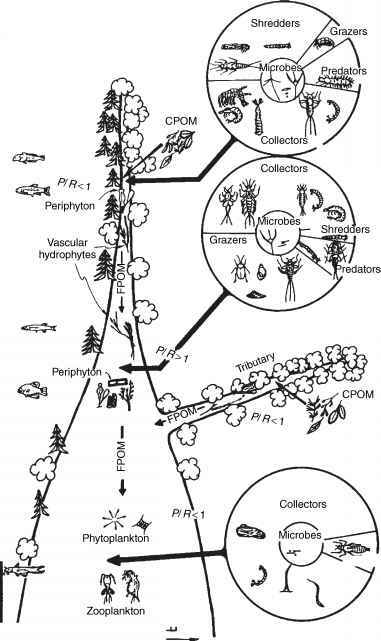 Algae Aclass of plants including the ordinary seaweeds and the filamentous freshwater weeds (Origin VI, p. 430; see Blennies; Damselfishes; Kelp; Lizards; Parrotfishes; Plankton). Altruism An action by, or feature, of a given individual, appearing to benefit a different and unrelated individual. Altruism represented a serious problem for CD's theory of *natural selection. Thus, after reading in McClelland (1839, p. 230) that Fishes are bright to be caught, he noted: I must utterly deny this. - If this could be passed -farewell my thesis (Marginalia 550). CD then developed this point: It has been asserted that animals are endowed with instincts, not for their own individual good or for that of their own social bodies, but for the good of other species, though leading to their own destruction: it has been said that fishes migrate that birds & other animals may prey on them;2 this is impossible on our theory of the natural selection ofself-profitable modifications ofinstinct. But I have met with no facts, in support of this belief worthy of consideration. (*BigSpecies Book p. 520; n. 2 cites Linnaeus (1762), p. 389, and Alison (1847), pp. 7,15). Strangely enough, a Russian school of self-described 'Darwinian' evolutionists emerged which saw altruism of the kind CD rejected as the motor of *evolution (Todes 1989; Sapp 1994). This school included a noted ichthyologist, Karl Fedorovich Kessler, who interpreted fish reproduction, schooling and migrations as forms of'mutual aid' (Todes 1989, pp. 109-12). cial insects, as far as forgoing reproduction. Or put differently: an animal can opt to spread its genes by helping its relatives reproduce successfully, and thereby spread the shared genes, which can be seen as the ones that 'selfishly' benefit from the whole arrangement (Dawkins 1989). Thus, CD need not have worried about altruism ultimately undermining his theory. In fact, altruism became one of the exceptions that probed the rule.